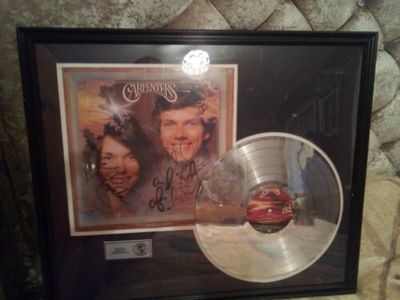 Roll on 37 years and I am really embarrassed as to my actions and now love The Carpenters! This is beautifully mounted with a silver disk of said album added for display purposes. Any questions or further photos please ask.